The goal of the Clovis Culinary Center is to lower the risk threshold for opening a culinary business. We make launching your food-related business easy and inexpensive. We strive to be affordable in order to allow members with limited resources to start a business, while encouraging members to design a business model that is realistic for the marketplace and affordable to start and grow. Kitchen and Bakery facilities are rented by the hour. Members can rent the facilities on an as needed basis or purchase a monthly package to receive discounted rates. 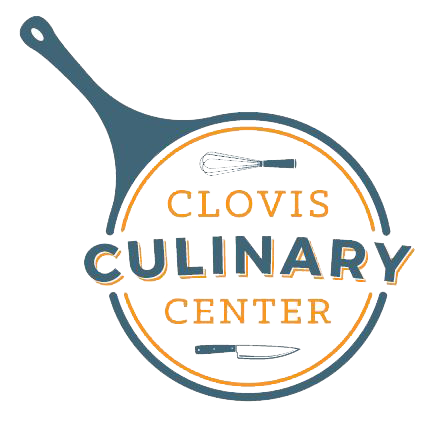 Use the Clovis Culinary Center as your official business location. Enjoy unlimited Wi-Fi, consulting services, and even use the Clovis Culinary Center as your official business address. Work alone or collaborate with other users. Also includes limited meeting space access. Enjoy a wide-range of classes, training sessions, and workshops which will help prepare you to take your business to the next level. Topics include basic food handling; recipe development; scaling recipes to batch size; acquiring funds; marketing; and much more.